Fronted by the sleek and compelling look-alike duo of Jess Wolfe and Holly Laessig, and backed by their counterpart bandmates Dan Molad and Pete Lalish, Lucius have sold out shows across the world, big and small. Having headlined all over the US and Europe, they’ve also played slots at Bonnaroo, Newport Folk Festival, Lollapalooza, End of The Road, Austin City Limits, and shared the stage with a variety of renowned musicians including Roger Waters, Jack White, Mavis Staples, Jeff Tweedy, Sara Bareilles, Tegan and Sara and David Byrne. The band's uphill ascent began when Jess and Holly crossed paths while studying at Berklee College Of Music in Boston. 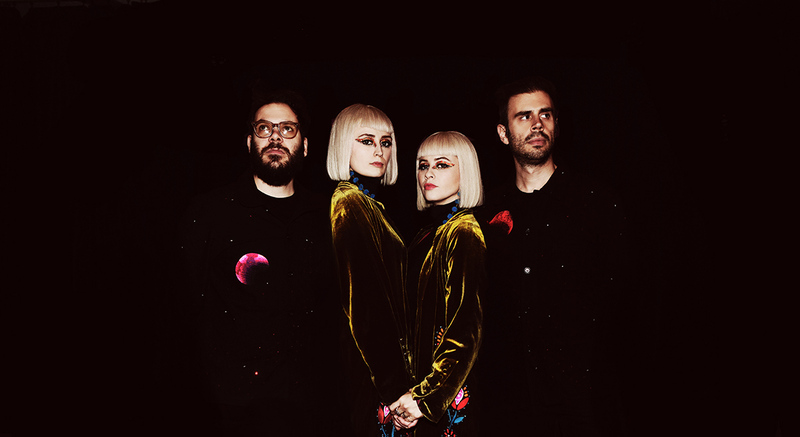 Their strong bond lay the foundation of Lucius; they started playing music together over ten years ago and they haven’t stopped since. Along the way, they’ve become NPR darlings, and found themselves lauded by critics around the globe. Since the critically acclaimed release of their 2013 debut LP Wildewoman, they have built a stunningly loyal following, and share an intimate bond with their fans. Even today, it’s not uncommon to see Lucius doppelgängers in the crowd. After wrapping up back-up singer duties on the mammoth Roger Waters arena-conquering Us + Them tour, performing over 100 shows around the world, 2019 finds Lucius back together for an intimate acoustic tour and the release of an accompanying 10-track acoustic album, NUDES. A collection of songs chosen specifically to showcase their soulful, powerful voices and gorgeous harmonies, NUDES includes three songs from the band’s back catalog, three brand new compositions and three cover versions. The album also features sit-ins from Pink Floyd legend Roger Waters (on “Goodnight Irene”) and Wilco’s Nels Cline (on “Million Dollar Secret”).